View More In Bedding & Furniture Protection. For use in hospitals, nursing homes and in the home, Attends Under pads are made with soft, non-woven top layers for wicking fluid away from the skin. Cellulose fibers make them comfortable and absorbent, and a strong, leak-proof back sheet holds fluid. 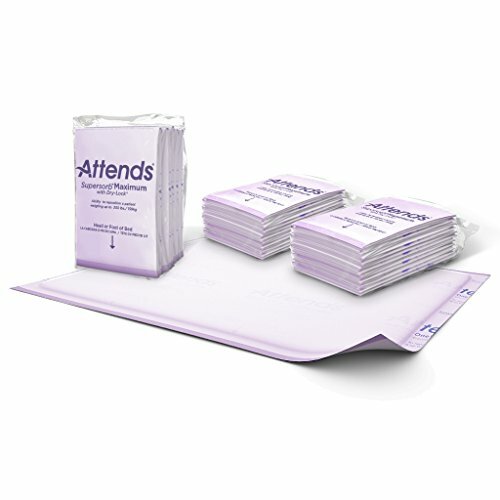 Attends disposable incontinence under pads are available in a variety of shapes and sizes-for standard use by absorbency level and for special use by application. All of our under pads help promote healthy skin, while at the same time protecting mattresses and chairs. If you have any questions about this product by Attends, contact us by completing and submitting the form below. If you are looking for a specif part number, please include it with your message.